No house is truly a home until you take care of Burlington landscaping design and installation. You give so much thought to the interior of your house so there is no reason to overlook the exterior. Especially since the outside is what adds curb appeal and makes the first impression. The trick is making sure the landscaping you add makes a positive statement. Trying to take care of this yourself as a DIY project is likely going to leave you with a look you don’t love. And hiring a less than superior company to get the job done is not likely to be worth your time or money either. 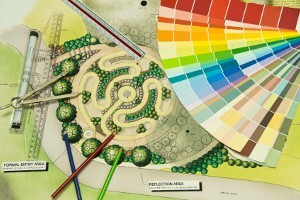 So make the most of your landscaping project by making sure you get the best bang for your buck. For one thing, many people think they should go the DIY route in order to save money. They are under the impression that taking on a job they have no formal or professional training for could be cheaper if they did it themselves. The problem is they do not take into account that pros get better prices through distributors and also already have the equipment to handle the job. The cost of equipment alone is all something you will have to take on if you intend to do it alone. Not to mention, teams like the CJS Lawn & Landscaping one, only use the finest of quality materials. So for the same price you are still ensured durable and reliable products that will withstand the test of time. Many home improvement stores sell inferior products, including plants, so you will end up having to replace them soon. Also, even though you may think you have some inspiration and creative ideas you may not realize how much really goes into this detailed planning and layout. Not to mention, we also have a great deal of experience in creative problem solving which almost always comes into play at least one or more times in every design process. Why take on a project we have years of experience already handling. Aside from professional training, we actually have over 30 years behind the CJS Lawn & Landscaping name. Planning a cohesive layout that still looks stunning is a lot more complicated than it sounds. And it is about much more than picking out some pretty flowers at your local home improvement store. So what are you waiting for? Let’s get started today. We can help you make important choices but take care of all of the details of your Burlington landscaping design and installation project for you. If you are looking for landscaping design services in Burlington, then please call 262-878-1660 or complete our online request form.